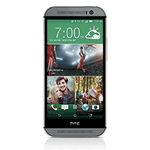 Update: It looks like users can unlock the AT&T version of the HTC One M8 with the HTCdev unlock tool, at least for the time being. 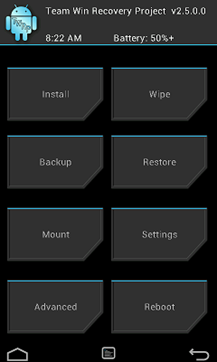 A build of TWRP for the AT&T model is already available on XDA. Hat tip to Google+ reader Brian Haslip. Wow, developers aren't wasting any time when it comes to cracking open new high-end hardware. Just a few days after a root method was released for the Galaxy S5, the folks at Team Win Recovery Project have already prepared TWRP for both the international and Sprint models of the new HTC One M8. Granted, Team Win had a bit of an advantage, since this phone has actually been released. The custom recovery for the Sprint phone has already been posted to the Team Win webpage, but for some reason the international variant hasn't been updated there, so head to XDA Developers instead. Regular Android modders will know how this goes: unlock the bootloader via HTC's official unlock method at HTCdev.com, connect it to your PC in fastboot mode, flash the recovery file, and then load it up with the root app of your choosing. It looks like the root apps that worked for the original HTC One (M7) still work, which is one less thing to worry about. Be quite careful to get the right recovery file - they aren't interchangeable between the Sprint and international models. Readers with the T-Mobile version of the phone will have to wait for a little while at least (the T-Mo version launches on April 11th), but those with AT&T or Verizon phones are probably out of luck for true custom recoveries, thanks to those carriers' policies of locked bootloaders. That said, work is already underway to get root on the stock software builds for these locked phones.